The Manila Times is the oldest extant English-language newspaper in the Philippines. It is published daily by The Manila Times Publishing Corp. with editorial and administrative offices at 2/F Sitio Grande Building, 409 A. Soriano Avenue, Intramuros, Manila. Intramuros is the 0.67 square kilometers (0.26 sq mi) historic walled area within the modern city of Manila, the capital of the Philippines. It is administered by the Intramuros Administration (IA), which was created through the Presidential Decree No. 1616 signed on April 10, 1979. IA is tasked to rebuild, redevelop, administer and preserve the remaining pre-war buildings, structures and fortifications of Intramuros. 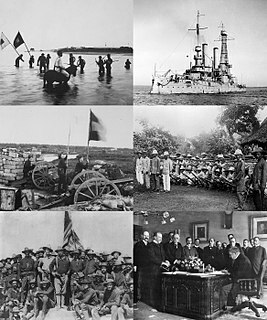 It was founded on October 11, 1898, shortly after news that the Treaty of Paris would be signed, ending the Spanish–American War and transferring the Philippines from Spanish to American sovereignty. It presently bills itself as having the fourth-largest circulation of the newspapers in the Philippines, beating the Manila Standard , but still behind the Philippine Daily Inquirer , the Manila Bulletin and The Philippine Star . The Treaty of Paris of 1898 was a treaty signed by Spain and the United States on December 10, 1898, that ended the Spanish–American War. In the treaty, Spain relinquished all claim of sovereignty over and title to Cuba, and ceded Puerto Rico, Guam, and the Philippines to the United States. 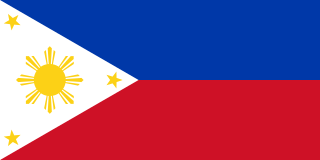 The cession of the Philippines involved a compensation of $20 million from the United States to Spain. The Treaty of Paris came into effect on April 11, 1899, when the documents of ratification were exchanged. 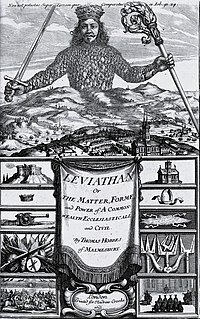 The Manila Times was founded by Thomas Gowan, an Englishman who had been living in the Philippines. The paper was created to serve mainly the Americans who were sent to Manila to fight in the Spanish–American War. At the time, most of the newspapers in the Philippines were in Spanish and a few others were in the native languages. Shortly after the paper's founding, reports reached Manila about the Paris Conference that would lead to the treaty ceding the Philippines to the United States from Spain. The maiden issue of The Manila Times had a sheet of two leaves, or four pages, measuring about 12 by 8 inches, each page divided into two columns. The first page was taken up by announcements and advertisements. Page 2 was the editorial page. It contained the editorials and the more important news of the day. Page 3 was devoted to cable news from Europe and the United States all bearing on the Spanish–American War. Reynato Puno y Serrano is the 22nd Chief Justice of the Supreme Court of the Philippines. Appointed on December 8, 2007 by President Gloria Macapagal Arroyo. He served until his mandatory retirement on May 17, 2010. Puno had initially been appointed to the Supreme Court as an Associate Justice on June 28, 1993. Eddie "Among Ed" Tongol Panlilio is a Kapampangan Filipino Roman Catholic priest and Governor of Pampanga. He was suspended from his priestly duties upon announcing his intention to run as governor. He was elected governor in May 2007 in a three-way race against incumbent governor Mark Lapid and provincial board member Lilia Pineda. In February 2010, following a recount of votes due to an election protest, the Comelec ruled that Lilia Pineda had won the 2007 election over Panlilio. Emmanuel Dapidran Pacquiao, PLH is a Filipino professional boxer and politician, currently serving as a Senator of the Philippines. Máximo Villaflor Soliven was a Filipino journalist and newspaper publisher. In a career spanning six decades, he founded the Philippine Star and served as its publisher until his death. The Order of Sikatuna is the national order of diplomatic merit of the Republic of the Philippines. 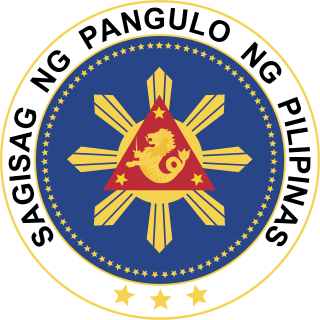 It is conferred upon individuals who have rendered exceptional and meritorious services to the Republic of the Philippines, upon diplomats, officials and nationals of foreign states who have rendered conspicuous services in fostering, developing and strengthening relations between their country and the Philippines, or upon personnel of the Philippine Department of Foreign Affairs (DFA), both in the Home Office and in the Foreign Service. Camp General Emilio Aguinaldo (CGEA) is the military headquarters of the Armed Forces of the Philippines (AFP) and is located in Quezon City in the Philippines. It is located along Epifanio de los Santos Ave., in front of Camp Crame, the national headquarters of the Philippine National Police (PNP). The military base is named after the revolutionary leader, Emilio Aguinaldo who became the first Philippine President, that fought in the Philippine Revolution, the Spanish–American and the Philippine–American War. Filipino nationalism began with an upsurge of patriotic sentiments and nationalistic ideals in the 1800s Philippines that came as a consequence of more than three centuries of Spanish rule. This served as the backbone of the first nationalist revolution in Asia, the Philippine Revolution of 1896, and continues up to this day. These nationalistic sentiments have led to a wide-ranging campaign for political, social, and economic freedom in the Philippines. The Manila Bulletin, is the Philippines' largest broadsheet newspaper by circulation, followed by the Philippine Daily Inquirer. It bills itself as "The Nation's Leading Newspaper", which is its official slogan. Independence Day is an annual national holiday in the Philippines observed on June 12, commemorating the independence of the Philippines from Spain. The Varsitarian is the official student publication of the University of Santo Tomas (UST). Founded in January 1928 by a group of students led by Jose Villa Panganiban, it is one of the first student newspapers in the Philippines. It is published fortnightly. The lampoon issue is called The Vuisitarian. Tomas U. Santos, the mascot of the Varsitarian, is a Thomasian who represents the students of the campus. He is usually seen accompanied by a talking, and quite cynical, T-square. Felipe Agoncillo was the Filipino lawyer representative to the negotiations in Paris that led to the Treaty of Paris (1898), ending the Spanish–American War and achieving him the title of "outstanding first Filipino diplomat." Ambeth R. Ocampo is a Filipino historian best known for his writings about Philippines' national hero José Rizal and for Looking Back, his bi-weekly editorial page column in the Philippine Daily Inquirer. He served as the Chairman of the National Historical Commission of the Philippines (2002-2011) and concurrently Chairman of the National Commission for Culture and the Arts in (2005-2007). The GUIDON is the official student newspaper of the Ateneo de Manila University. It is a part of the Ateneo's Confederation of Publications (COP), including Heights and Matanglawin. The GUIDON is published monthly from June to March. The Philippine Star is a print and digital newspaper in the Philippines and the flagship brand of the PhilStar Media Group. First published on 28 July 1986 by veteran journalists Betty Go-Belmonte, Max Soliven and Art Borjal, it is one of several Philippine newspapers founded after the 1986 People Power Revolution. 1898 in the Philippines details events of note that happened in the Philippines in the year 1898. Roy Agullana Cimatu is a Filipino retired general who is the current Philippine Secretary of Environment and Natural Resources, serving in the Duterte Administration. He succeeded environmentalist Gina Lopez after her nomination was rejected by the Commission on Appointments on May 3, 2017. Cimatu is a retired Philippine Army general who previously served as the 30th Chief of Staff of the Armed Forces of the Philippines under President Gloria Macapagal Arroyo and as Special Envoy to the Middle East during the Iraq War. Martin "Mark" L. López is the chairman of ABS-CBN Corporation, the largest entertainment and media conglomerate in the Philippines, with investments primarily in television, radio, cable telecommunications, and film production..
↑ "Times' chairman Dante Ang named special envoy". The Manila Times. May 10, 2017.